On Tuesday, we published photographs of the ordination of Mr Philip Gilbert, who received the orders of candle-bearer, reader, cantor, and subdeacon from Bishop Benedict Aleksiychuk, the Ukrainian Greek-Catholic bishop of Chicago, at his home church of St Peter in Ukiah, California. 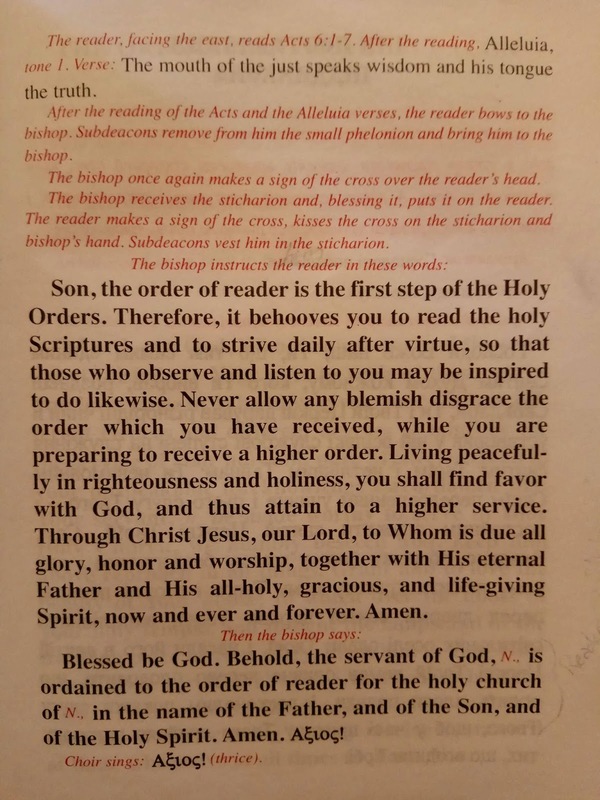 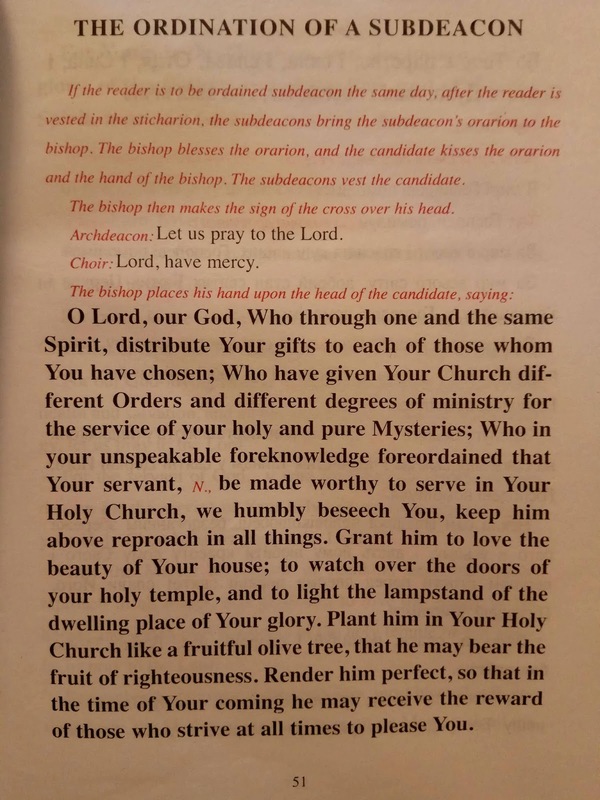 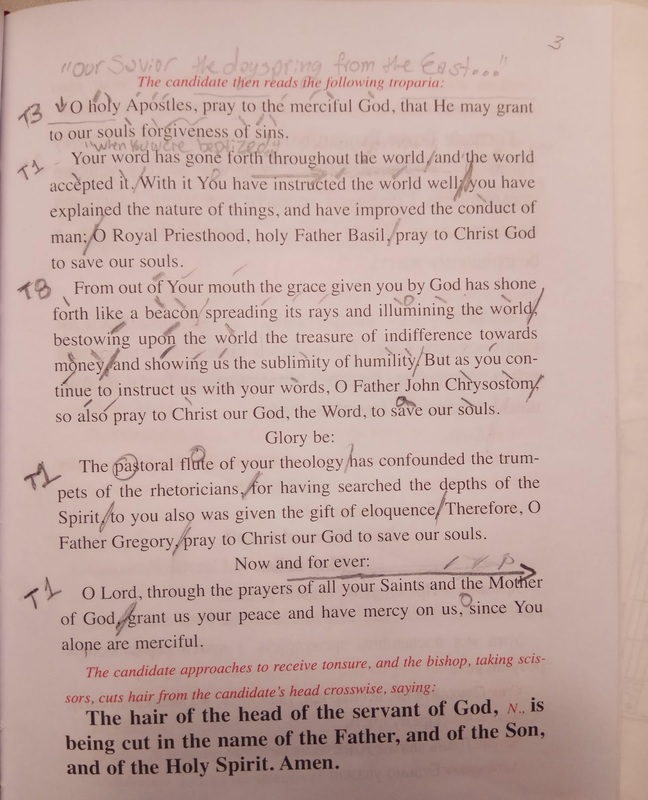 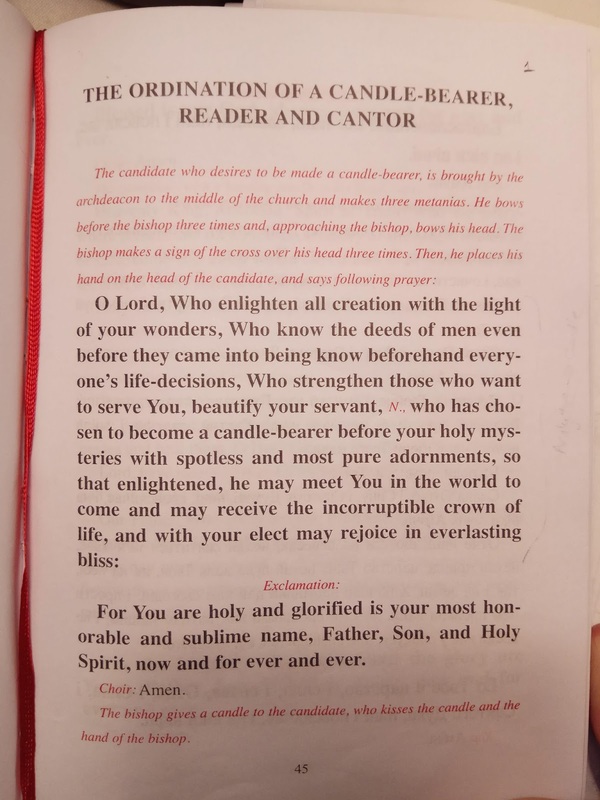 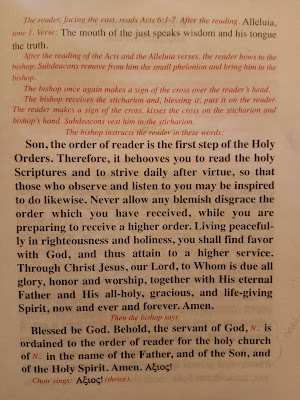 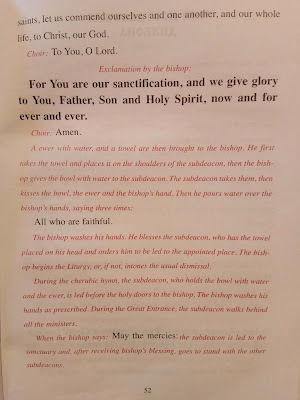 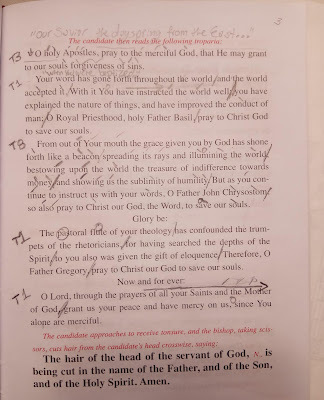 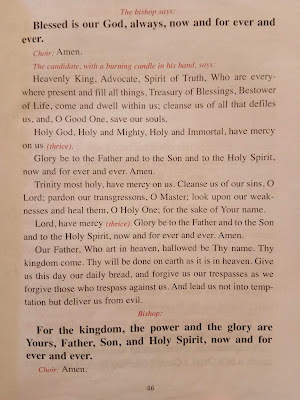 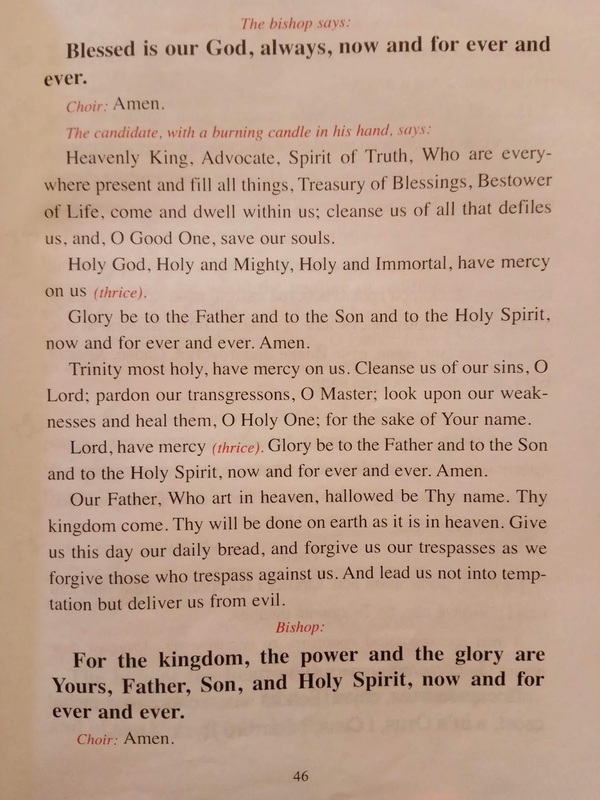 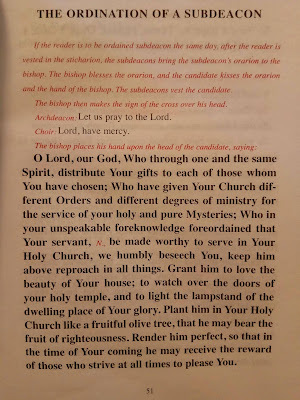 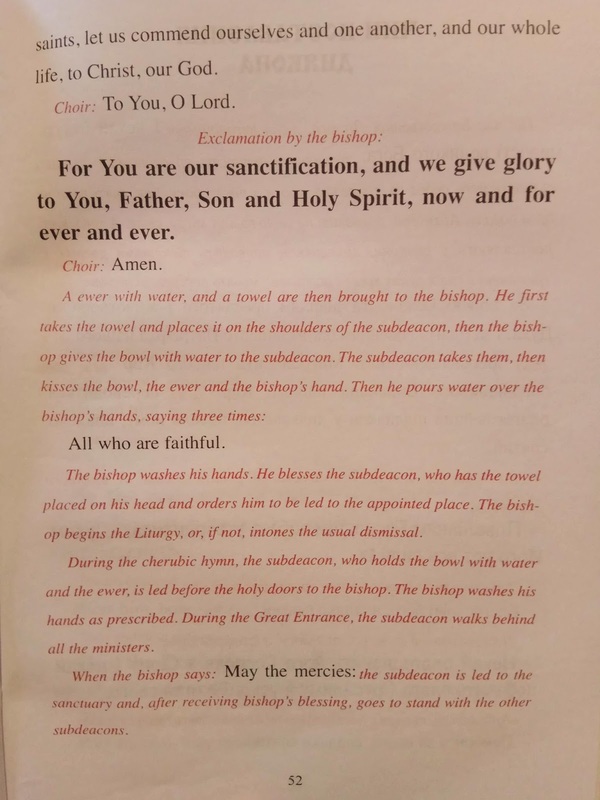 As a follow-up, here are some photos of the liturgical book which was used in the ceremony, for those who might be interested in the text of the prayers, and fuller rubrical details of the ceremony itself. 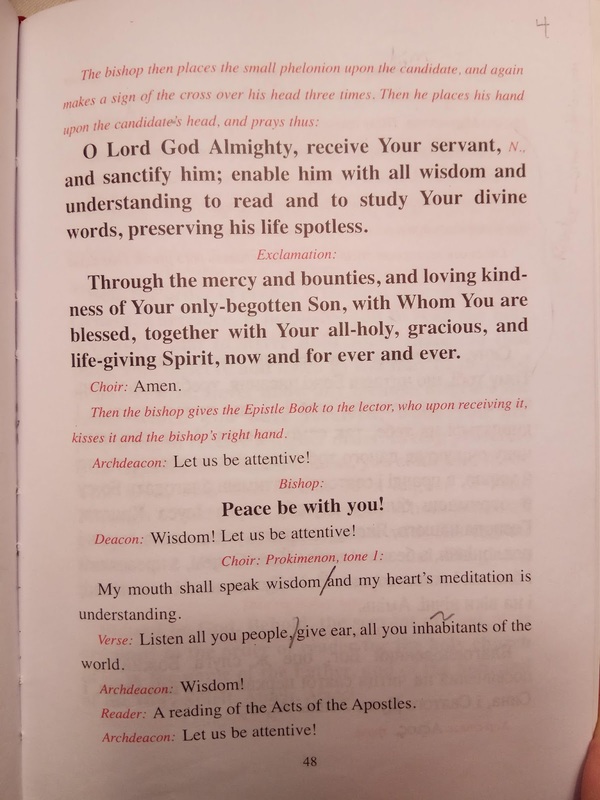 Each of these pages can enlarged by clicking on it.